The shift toward a richer mix of media and communication approaches poses a problem for marketers. Consumers today are bombarded by commercial messages from a broad range of sources. But consumers don't distinguish between message sources the way marketers do. In the consumer's mind, messages from different media and promotional approaches all become part of a single message about the company. Conflicting messages from these different sources can result in confused company images, brand positions, and customer relationships. All too often, companies fail to integrate their various communications channels. The result is a hodgepodge of communications to consumers. 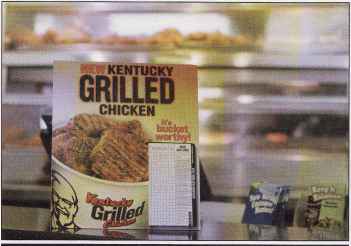 Mass-media advertisements say one thing, while a price promotion sends a different signal, and a product label creates still another message. Company sales literature says something altogether different and the company's Web site seems out of sync with everything else. The problem is that these communications often come from different parts of the company. 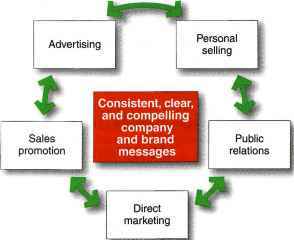 Advertising messages are planned and implemented by the advertising department or an advertising agency. Personal selling communications are developed by sales management. Other company specialists are responsible for public relations, sales promotion events, Internet marketing, and other forms of marketing communications. However, whereas these companies have separated their communications tools, customers won't. Mixed communications from these sources will results in blurred consumer brand perceptions. Today, more companies are adopting the concept of integrated marketing communications (IMC). Under this concept, as illustrated in # Figure 14.1, the company carefully integrates its many communications channels to deliver a clear, consistent, and compelling message about the organization and its brands. Carefully integrating and coordinating the company's many communications channels to deliver a clear, consistent, and compelling message about the organization and its products. 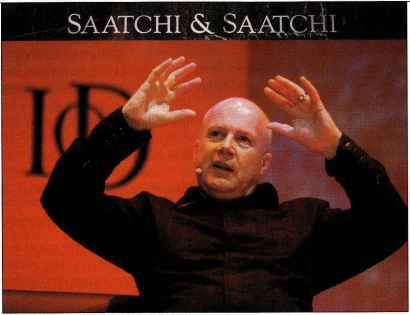 In today's splintered advertising universe, Saatchi & Saatchi Worldwide's CEO Kevin Roberts is scrambling to keep his advertising agency relevant. To become a Web-era player, '"We've got to reinvent and transform the way we work." In today's splintering advertising universe, advertising agency Saatchi & Saatchi Worldwide is scrambling to stay relevant. As of now, the New York agency is one of the ad industry's brightest stars. It's still signing up blue-chip clients at an impressive rate and scooping up awards for its creative work. Yet Saatchi CEO Kevin Roberts worries that at a time when there are more new places than ever to stick ads—online, on cell phones, in all places digital and interactive—Saatchi may not be ready for this new universe. TV viewers are using DVRs to blast through the very commercials that are Saatchi's bread and butter. Marketers are stampeding online, where Saatchi lacks the tools and talent to compete. Digital boutiques are proliferating, staffed with tech vets and Gen Y video artists dedicated to making ads for video-sharing and social-networking sites and whatever comes after them. IMC calls for recognizing all touch points where the customer may encounter the company and its brands. Each brand contact will deliver a message, whether good, bad, or indifferent. Says one advertising executive, "the world has evolved to a place where brands that need to speak to their audience have to understand that everything they do is media. 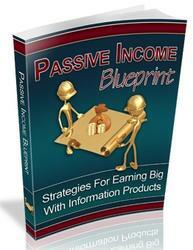 "9 The company wants to deliver a consistent and positive message with each contact. IMC leads to a total marketing communication strategy aimed at building strong customer relationships by showing how the company and its products can help customers solve their problems. IMC ties together all of the company's messages and images. The company's television and print advertisements have the same message, look, and feel as its e-mail and personal selling communications. And its public relations materials project the same image as its Web site or social network presence. Often, different media play unique roles in attracting, informing, and persuading consumers, and these roles must be carefully coordinated under the overall marketing communications plan. For example, Nikon used a carefully coordinated mix of media in a recent campaign designed to demonstrate that even ordinary people can take amazing digital pictures with its Nikon D40 camera. To prove the point, Nikon gave 200 of the cameras to people in the U.S. state of South Carolina, and then featured the people and their photos in TV and print ads. The ads delivered the brand message and referred consumers to a specially constructed supporting Web site (www.stunningnikon.com/picturetown), where they could explore the stories and people behind the pictures, learn more about the Nikon D40 camera, and find go digital, and they must now struggle to catch up. For most of the twentieth century the so-called creatives ruled the industry. They didn't worry about where or how an ad ran. They were about Big Ideas that would connect a brand emotionally with millions of consumers. Today, you might say, the Small Idea is ascendant. Ads are targeted at individuals or communities of consumers rather than to the masses. The media universe is now so fragmented— into blogs, social networks, television, magazines, and so on—that finding the right medium is fast becoming more important than the creative message itself. And the people best equipped to deal with this new world are not the big creative agencies. Instead, it is the direct marketers who are now perfect for the Web—the folks who've always interacted directly with individual consumers. And as the media fragment and reform, media buyers—once consigned by the creative agencies to back-office obscurity—are playing a much bigger role in helping clients figure out where they should spend their advertising budgets. More and more, these media buyers are steering advertisers into new digital and direct media, a powerful threat to the venerable 30-second TV spot that has always been at the heart and soul of traditional creative agencies like Saatchi. Saatchi's CEO Roberts still believes in the power of creative—the emotional connection to the customer. But the truth is that creative and media feed off of one another, and media is shifting into a new realm that Saatchi has yet to master. Most clients still believe in creating an emotional bond with consumers. But in today's fragmented media universe, advertisers are looking for agencies that can help them create an integrated customer experience across multiple media, including both the traditional mass media that Saatchi knows so well and the new digital and direct media that remain a bit beyond Saatchi's comfort zone. To fill the widening gap between traditional and digital, Saatchi is now hiring its own corps of Web ad makers, direct marketers, and digital media specialists. In fact, a while back, Saatchi tried to buy an existing digital agency, Blast Radius, known for building Web sites and creating passionate online communities for with-it companies such as Nike and game maker Electronic Arts. However, in a deeply troubling development, Blast Radius declined Saatchi's proposal. Instead, it merged with Wunderman, one of the world's largest direct-marketing agencies. Said Blast Radius's CEO at the time, "As an interactive agency, ... we saw a big chasm between us . . . versus the more traditional agencies. The traditional agencies were still very much about [messages and creativity]." Interestingly, Publicis Groupe, the mammoth holding company that owns Saatchi & Saatchi along with dozens of other communications agencies, appears not to be counting on Saatchi and its other traditional agencies to lead the digital transformation. Instead, Publicis invested heavily to purchase an existing interactive agency, Digitas, and to bankroll the creation of another, Droga5. Publicis's CEO sees these interactive agencies as defining the very future of both his company and the entire advertising industry. His goal is to make Publicis the industry's premier digital-marketing outfit—to create a blueprint of the agency of the future. "It's not about cosmetic changes," he says, "it's about profound and unsettling changes." Such actions and thinking have created an undercurrent of near-panic at some traditional creative agencies, including large and successful ones such as Saatchi & Saatchi. The question is clear: With digital and direct agencies muscling onto Saatchi's turf, is it "too late for an old-school creative shop to transform itself into a Web-era player"? CEO Roberts doesn't think so. But it won't be an easy transition for Saatchi and the other traditional agencies. "We've got to reinvent and transform the way we work," he says. Sources: Excerpts and quotes adapted from Burt Helm, "Struggles of a Mad Man," BusinessWeek, December 3, 2007, pp. 44-49: and Linda Tischler, "A Mad Man Gets His Head Together," Fast Company, January 2008, pp. 90-97.
out where to buy one. The ads, Web site, supporting PR, and even the event itself were carefully integrated to deliver a unified message. In the past, no one person or department was responsible for thinking through the communication roles of the various promotion tools and coordinating the promotion mix. To help implement integrated marketing communications, some companies appoint a marketing communications director who has overall responsibility for the company's communications efforts. This helps to produce better communications consistency and greater sales impact. It places the responsibility in someone's hands—where none existed before— to unify the company's image as it is shaped by thousands of company activities. Author I To develop effective Comment | marketing communications, you must first understand the general communication process. Integrated marketing communications involves identifying the target audience and shaping a well-coordinated promotional program to obtain the desired audience response. Too often, marketing communications focus on immediate awareness, image, or preference goals in the target market. But this approach to communication is too shortsighted. Today, marketers are moving toward viewing communications as managing the customer relationship over time. Because customers differ, communications programs need to be developed for specific segments, niches, and even individuals. And, given the new interactive communications technologies, companies must ask not only, "How can we reach our customers?" but also, "How can we find ways to let our customers reach us?" Thus, the communications process should start with an audit of all the potential touch points that target customers may have with the company and its brands. For example, someone purchasing a new kitchen appliance may talk to others, see television ads, read articles and ads in newspapers and magazines, visit various Web sites for prices and reviews, and check out appliances in one or more stores. The marketer needs to assess what influence each of these communications experiences will have at different stages of the buying process. This understanding will help marketers allocate their communication dollars more efficiently and effectively. To communicate effectively, marketers need to understand how communication works. Communication involves the nine elements shown in \ Figure 14.2. Two of these elements are the major parties in a communication—the sender and the receiver. Another two are the major communication tools—the message and the media. Four more are major communication functions—encoding, decoding, response, and feedback. The last element is noise in the system. Definitions of these elements follow and are applied to a McDonald's "I'm lovin' it" television commercial for fast food. • Sender: The party sending the message to another party—here, McDonald's. • Encoding: The process of putting thought into symbolic form—McDonald's advertising agency assembles words, sounds, and illustrations into an advertisement that will convey the intended message. • Message: The set of symbols that the sender transmits—the actual McDonald's ad. • Media: The communication channels through which the message moves from sender to receiver—in this case, television and the specific television programs that McDonald's selects. • Decoding: The process by which the receiver assigns meaning to the symbols encoded by the sender—a consumer watches the McDonald's ad and interprets the words and images it contains. There is a lot going on in this figure! For example, apply this model to McDonald's. To create great adertising—such as its long-running "I'm lovin' if' campaign—McDonald's must thoroughly understand its customers and how communication works. • Receiver: The party receiving the message sent by another party—the customer who watches the McDonald's ad. • Response: The reactions of the receiver after being exposed to the message—any of hundreds of possible responses, such as the consumer likes McDonald's better, is more likely to eat at McDonald's next time, hums the "I'm lovin' it" jingle, or does nothing. • Feedback: The part of the receiver's response communicated back to the sender—McDonald's research shows that consumers are struck by and remember the ad, or consumers write or call McDonald's praising or criticizing the ad or products. • Noise: The unplanned static or distortion during the communication process, which results in the receiver's getting a different message than the one the sender sent—the consumer it distracted while watching the commercial misses its key points. 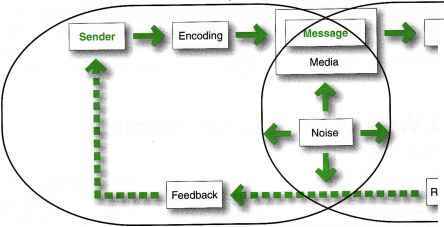 For a message to be effective, the sender's encoding process must mesh with the receiver's decoding process. The best messages consist of words and other symbols that are familiar to the receiver. The more the sender's field of experience overlaps with that of the receiver, the more effective the message is likely to be. Marketing communicators may not always share their consumer's field of experience. For example, an advertising copywriter from one socioeconomic stratum might create ads for consumers from another stratum— say, wealthy business owners. However, to communicate effectively, the marketing communicator must understand the consumer's field of experience. This model points out several key factors in good communication. Senders need to know what audiences they wish to reach and what responses they want. They must be good at encoding messages that take into account how the target audience decodes them. They must send messages through media that reach target audiences, and they must develop feedback channels so that they can assess the audience's response to the message. We now examine the steps in developing an effective integrated communications and promotion program. Marketers must do the following: Identify the target audience, determine the communication objectives, design a message, choose the media through which to send the message, select the message source, and collect feedback. What is the message behind "the old versus the new” about the ad agency “saatchi & saatchi”? Why companies follow the integrated marketing communication concept? Why do firms follow the imc concept? Why should firms follow intergrated marketing communications? How do firm follow the imc concept? Is coke following the integrated marketing communication concept? How to use imc and fragment marketing media to reach target audience? When companies fail to ________ their various communications channels consumers may become confused? How IMC solves communication problems? What is an intergreated marketing blend communication? Why need to integrate all promotional tools?